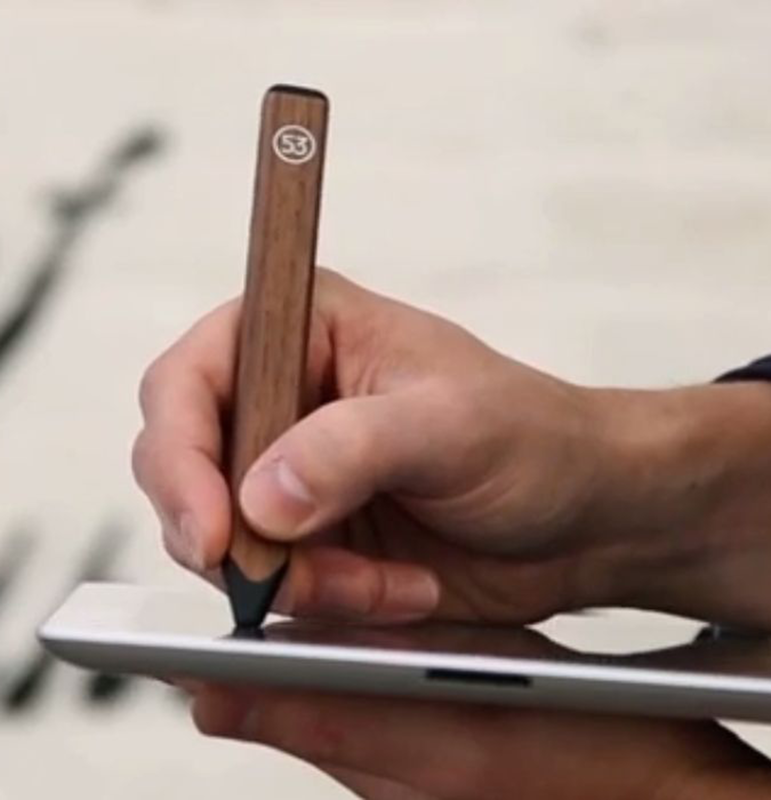 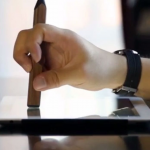 Pencil is the name given to 53’s new stylus tool to be used with the iPad through various apps, including and especially their award-winning application Paper. 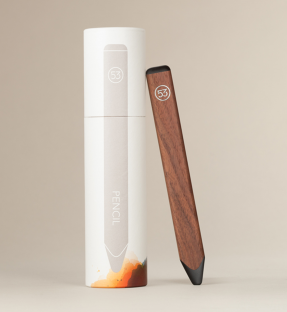 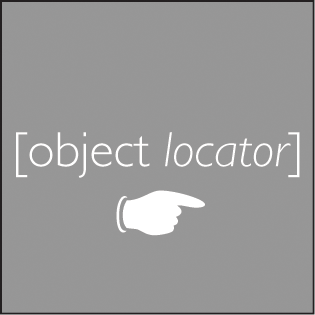 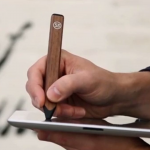 The simple title alludes to the company’s goal for the product: to make the technology as unobtrusive as possible, recreating the best aspects of pencil on paper, while removing the drawbacks. 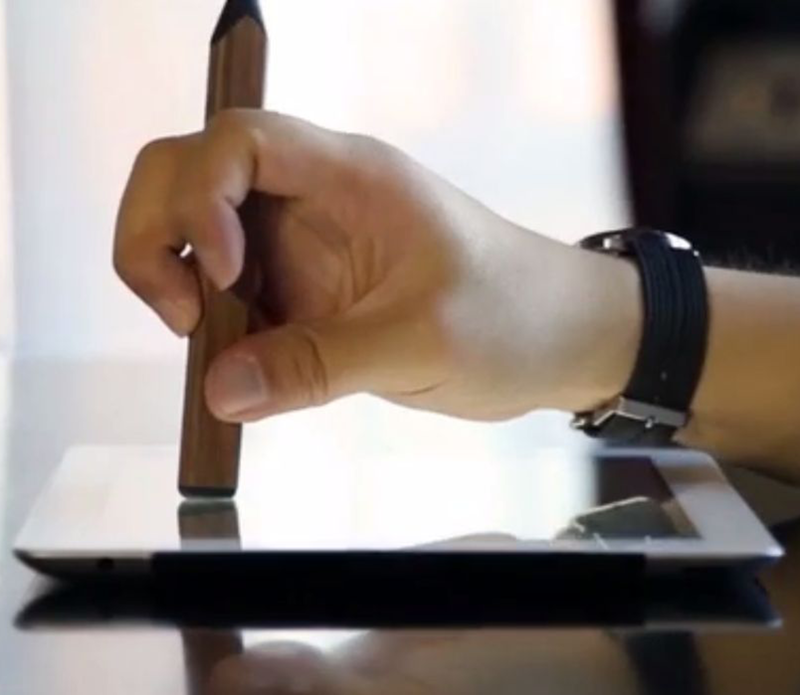 One need simply hold the tip of Pencil to the surface to pair it with the device using certified Bluetooth technology, then draw and erase as if using a standard lead pencil. 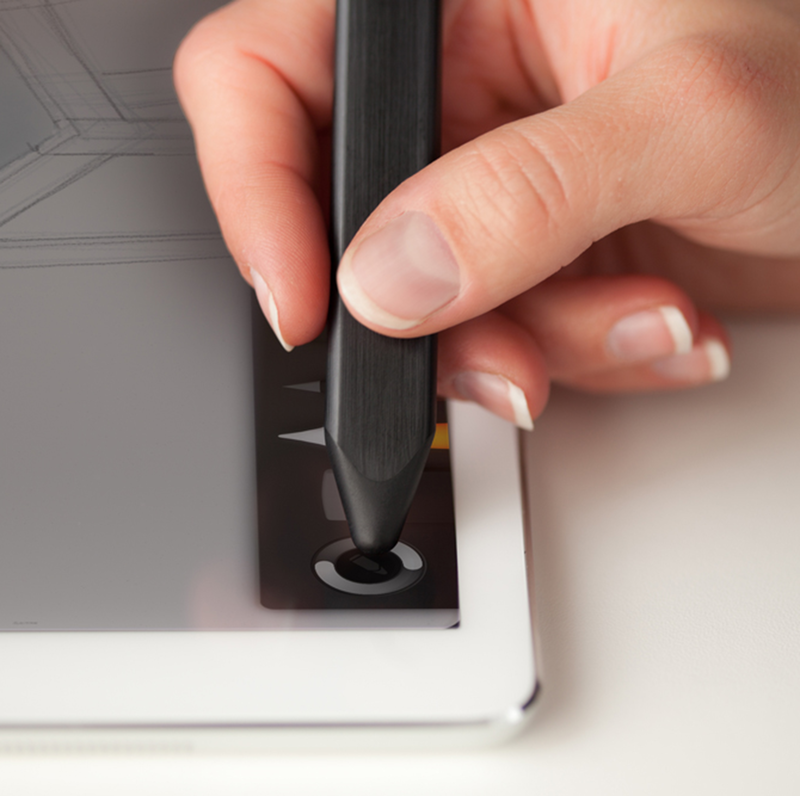 The Paper app also incorperates such added features as adaptive palm rejection, which ignores the palm touching the surface as it is being drawn on, and the ability to use a finger as a tool to smudge lines and blend colors together. 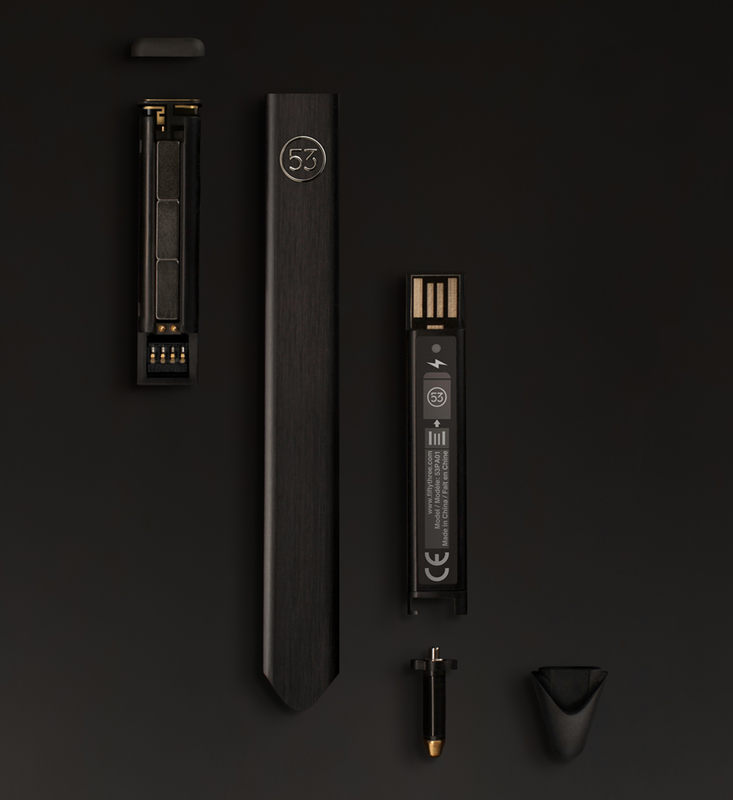 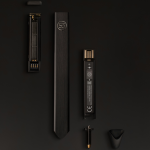 Pencil charges by means of USB, providing a month’s use from 90 minutes of charging and is available in environmentally friendly walnut, or black extruded aluminum body materials.